Note: This post on advanced pain management was inspired by Daniel Kahneman’s Thinking, Fast and Slow , a book about the biases and heuristics that cause humans’ thinking to fail. I highly recommend it if you’re curious about psychology. The chapter on expert intuition provides guidelines governing whether you can trust your doctor or not. In the context of the highest offerings of chronic pain care, my hope is that you objectively judge your doctor’s qualifications for yourself. Barbara (name changed to respect her privacy) is an actual patient of Barefoot Rehab who gave us permission to share her story as it unfolds. She is a 34 year-old, female, vegetarian, with bilateral plantar fascia pain when she walks barefoot. The pain happens instantaneously upon this provocative movement. Relevant history includes at least four bone fractures in her lower body, most not correlated with trauma. After three treatments, she has had no sustainable improvement in her functional range of motion (her restricted and relevant test is ankle dorsiflexion, showing 2.5″ on both sides) and no improvement in her capacity upon walking barefoot. At Barefoot Rehab, we expect to make a sustainable change in three to five visits and if we do not, we have to re-examine our diagnosis. At the end of her third visit, we recommended Sole Supports orthotics as a strategy to manage load because her leg and foot structures have a diminished capacity and are not strong enough to handle any standing or walking stresses without them. When she stands, her tibia is out of alignment of her 2nd toe on both sides and she has obvious pronation at both subtalar ankle joints. We told her this finding on the first visit, suggesting that we would need orthotics between the third and fifth treatments if no sustainable change was made in her range or capacity, indicating that her daily overload was a more relevant issue than the adhesion. We told her the price of orthotics, without insurance, would be several hundred dollars. Before I answer that question, let’s dive into the research on expert intuition and what the doctor’s environment and methodology means for Barbara and you finding answers to your pains. When can you trust an experienced, self-confident professional who claims to have an intuition? Intuition is defined as a thought that comes to the consious mind. 1. Intuition is not actually intuition. In Blink: The Power of Thinking Without Thinking , Malcolm Gladwell tells the memorable story of art experts faced with an object that is described as a magnificent example of a kouros of a striding boy. The experts had strong visceral reactions that the sculpure was fake, although they couldn’t consciously articulate why. Gladwell seems to imply that a systematic search for the cue that guided experts would have failed, but Kahneman disagrees and uses Thinking, Fast and Slow to dispute that implication. If an inquiry were conducted properly, it likely would have succeeded. What the experts think is intuition is actually something else. What actually happened for the experts is that the situation revealed a cue. The cue gave the expert access to information stored in memory, and the information provided the answer. For example, the fireman who gets his colleagues out of a burning building before it collapses might be labeled as having a “sixth sense” for danger. In reality, with many years of fighting safe and unsafe fires under his belt, his senses had been accumulating data on the environment for thousands of hours in his environment. 3. Recognition occurs in the environment of skill. Expertise in a domain is a collection of miniskills that takes a long time to develop. The recognition of learning what works and what doesn’t can only occur in an environment of skill, where one learns ongoingly through practice. Playing chess, fighting fires, practicing medicine, law, carving wood, communicating as a teacher or employer, or writing are all fair environments to practice skill in. an opportunity to learn these regularities through prolonged practice. 4. Recognition requires constant feedback and practice. In order to learn a skill, an expert needs immediate and unambiguous feedback every time one interacts with a stimulus. Then, the expert needs to be present in practice to digest the feedback over sufficient time. Kahneman cites the below examples of good vs. bad environments of skill. When driving a car, an individual experiences the mild reward of a comfortable turn if performed at the correct speed and turns of the steering wheel. Brake too hard, not enough, or go too fast and one will become quickly aware which pieces of the skill were not workable. Psychotherapists get the short term feedback and intuitive skill of how to communicate words to their patients by noticing the facial expression, posture, and verbal response of the patient. Finding the best general approach that is suitable for individual patients is harder to develop. Feedback from a patient’s long-term outcome is sparse, delayed, sometimes nonexistent, and too ambiguous to support learning from experience. Anesthiologists benefit from amazing feedback because the effects of their interventions are quickly evident. If an anesthesiologist says “I have a feeling something is wrong”, everyone in the operating room should be prepared for an emergency. Radiologists do not get appropriate feedback leading to intuitive skill. They obtain little information about the accuracy of the diagnoses they make and about the pathologies they fail to detect. 5. Seeing clarity through the illusion of validity requires examining the two conditions governing the environment of skill acquisition. Regularity of the environment – How regular is feedback based on interventions? Expert’s learning history – How well does an expert live in reality and let his/her actions change based on lessons learned? Expert confidence should be set aside as there is no correlation, according to the statistics, for the prediction of a successful outcome. The illusion of validity will cause many competent salesman of less-than-quality products to make a living for consumers that neglect the conditions for the environment of skill acquisition. By now, you should be questioning the providers that you’ve been seeing for your pain or disease. Advanced pain management requires you reflecting on the below questions. Did your doctor have the opportunity to get feedback on interventions? Did your doctor take the opportunity to digest feedback and change the treatment plan going forward? Did your doctor explain what the feedback meant and how it changes your diagnosis, prognosis, and expectation of results? Let’s talk about what is standard or normal feedback when it comes to acute pain, chronic pain, and manual therapy. The world has rules and laws that govern the speed of changes. 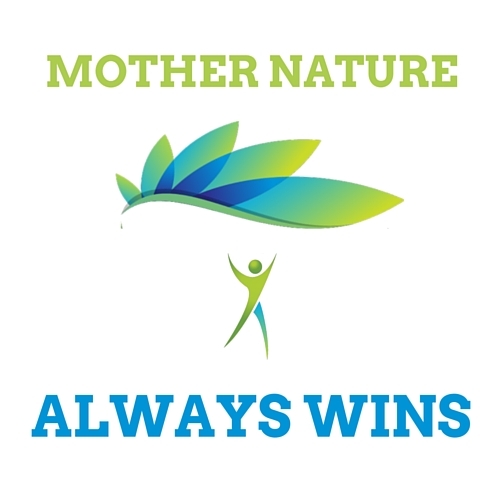 If we don’t play the game by Mother Nature’s rules, we are sure to fail. Notice, the “leaf” is above the man. The man does not stand over the “leaf”. No matter how much technology advances, man will never outdo Nature. The Earth, with its storms and devastation, is our home. The monk who lives happily says “yes” to all circumstances. In the same way, we need to practice acceptance. Unfortunately, we need to respect that speed in order to increase expertise and skill and get results in our given domain. There is no hacking the time necessary to learn how to play the violin or fixing patients in pain. Here is what you can expect when you’re in pain. “Acute pain” is defined as lasting three to six months (1). If you have an episode of “acute low back pain”, 90% of you will get better in two to four weeks, no matter what interventions you do (2). Even if an elephant flies by your window right now. Therefore, the intervention is irrelevant. The first occurence that you’ve hurt this body part. You can handle the intensity of the pain. The pain is improving every day. The total duration of pain lasts less than two weeks. If your pain meets those conditions, you can trust that this episode of pain will get better and you do not necessarily need to see a provider. According to our expert intuition (ha, we know that we haven’t proved anything to you yet), if your “acute pain” lasts more than two weeks, while it still may get better without treatment, it’s worth getting a diagnosis for. Pain that lasts more than two weeks usually rears it’s ugly head again in the future. When the same “acute pain” occurs more than once in your lifetime, it’s not acute. A qualified diagnostician will help you understand why it happened and tell you what need to do to restore capacity back to pre-injury. Data about your body is never a bad thing, especially when you value your health, fitness, and longevity. When adhesion is the largest dysfunction block, which it often is with acute and chronic pain, objective range of motion is immediately increased and subjective symptom intensity is immediately decreased. Not only is range of motion increased immediately after treatment, gains will last indefinitely in the future. In other words, treatment effects are permanent and will stack up on top of each other from visit to visit. You won’t need to seek treatment forever unless you’re load is high (ie. you’re a professional athlete) or have structural dysfunctions. This phenomenon, where 60 seconds of treatment leads to inches of gain in range of motion, is observed through the Test-Treat-Retest Methodology. Each structure is tested after treatment to immediately determine relevance to your condition. Based on how much adhesion is palpated (or felt), we can determine how much dosage of treatment we need to continue to deliver at that area based on how much impact it made on your tests during the last visit. Below, see an immediate result we got with cervical rotation to the left in one visit with Sara. Observe her right ear, which indicates that she is moved her head into more range of motion than before. The real-life effect of this increase in range of motion means Sara can check her blind spot in her car. The adhesions restricting the range of motion, decreasing capacity, and increasing symptoms, were missed. While adhesion was present, they were not relevant. The relevant adhesions were correctly identified, however, were not treated effectively. To be effective, treatment needs to occur at the correct depth and at tension perfectly parallel to the direction of the fascia’s fibers. Haphazard manual therapy where a provider is talking to you as he treats or hasn’t put in his time to be competent will result in no sustainable changes from visit to visit. We recommend Integrative Diagnosis providers as the ideal providers for this treatment. Load is still exceeding capacity and needs to be reduced to give the body an opportunity to recover and heal. ie. continuing exercise in the face of pain, or continuing to sit at your desk amidst ongoing neck or forearm pain. There is a structural dysfunction. ie. tears, herniations, sequestrations, arthritic changes, or space-occupying-lesions. There are metabolic (includes dietary issues such as diabetes, gluten intolerances, or vegetarianism), stress, emotional or sleep dysfunctions preventing the optimal healing of the nervous system. The manual therapist will have to go back and examine your history, exam, ask you questions about the possible suspects, and come up with a new diagnosis with appropriate sweet-spot solutions for that diagnosis to change direction moving forward. Let’s come back full circle to Barbara. I wish we could say we fix everyone at Barefoot Rehab. Unfortunately, we don’t. If we can’t fix someone, we can diagnose them properly and send them in the right direction to get the right dysfunction blocks addressed. Our response to Barbara involved a conversation letting her know she was in the right place based on our expert intuition and standard of excellence. Barefoot Rehab: How many times did you see each provider for this chronic issue on average? Barefoot Rehab: Did any of those providers let you know what to expect in the context of progress? Barefoot Rehab: Were you re-tested at least two times within each visit to assess progress? 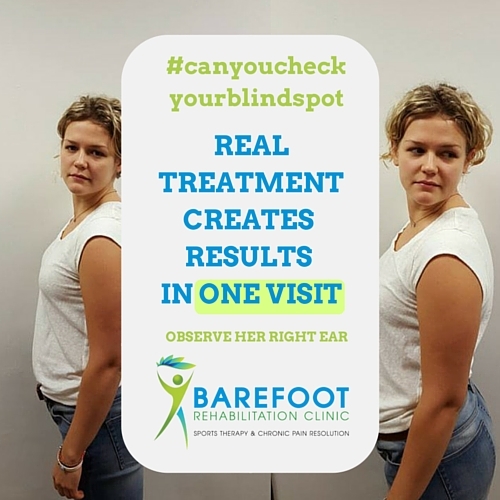 Barefoot Rehab: We didn’t get results with you like we normally do in three visits. As a result, we’re switching gears. I suspect that the overload on your calf/ankle structures is more significant than suspected, that’s why we’re getting top-of-the-market orthotics for you. I already mentioned to you that another dysfunction we are ignoring right now is the fact that you’re a vegetarian and are not being monitored for definiciencies by an expert (3). While it’s none of my business why you eat that way, it absolutely affects your immune system’s ability to heal. Your osteopenia is a data point corroborating the metabolic dysfunction. I don’t promise we’re going to fix you. I do promise that we’re going to have a complete diagnosis as quickly as possible for your issues so you have as large of a chance of success as possible. Barbara: I understand. What should I expect with the orthotics in place? Barefoot Rehab: After a week of wearing them, your load will have been minimized and we can apply another three treatments worth of dosage to your calves/feet. If that doesn’t make progress, we’re going to decide if we need to get imaging or seek a functional medicine provider for your metabolism. I’m leaning towards the metabolic dysfunction because the data point that your foot problem is on both feet minimizes the prospect of a structural dysfunction on both sides. Barbara: Got it. Thank you for the explanation. You must be an expert. Barefoot Rehab: Well Barbara, yes I am! The regular feedback of this type of care under the test-treat-retest methodology allows us to know what is normal and what isn’t. The more mindful we are as doctors, the more we learn and the quicker we become even greater experts when it comes to chronic pain. Barbara understood and scheduled her fourth visit. Objectiveness and pragmatism need no further explanation. 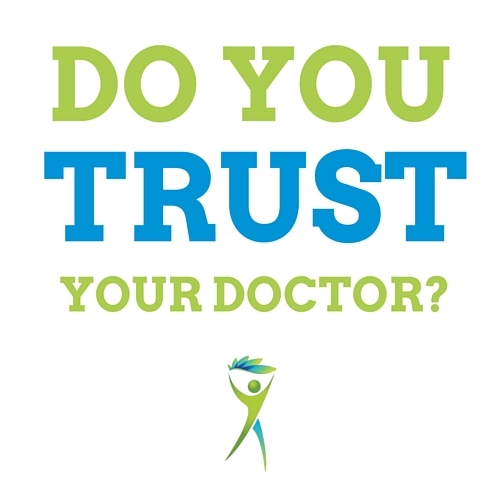 Comment below: Do you trust your doctor? In the context of your pain or disease, does the environment that the doctor works in allow him or her to collect feedback and reorient treatment interventions? Would you call the treatment you’ve been receiving “advanced pain management”? Standards of Care for Acute and Chronic Musculoskeletal Pain: The Bone and Joint Decade (2000–2010), 2008 (Link). Multifidus muscle recovery is not automatic after resolution of acute, first-episode low back pain, 1996 (Link). Why you should think twice a bout vegetarian and vegan diets, 2014 (Link).